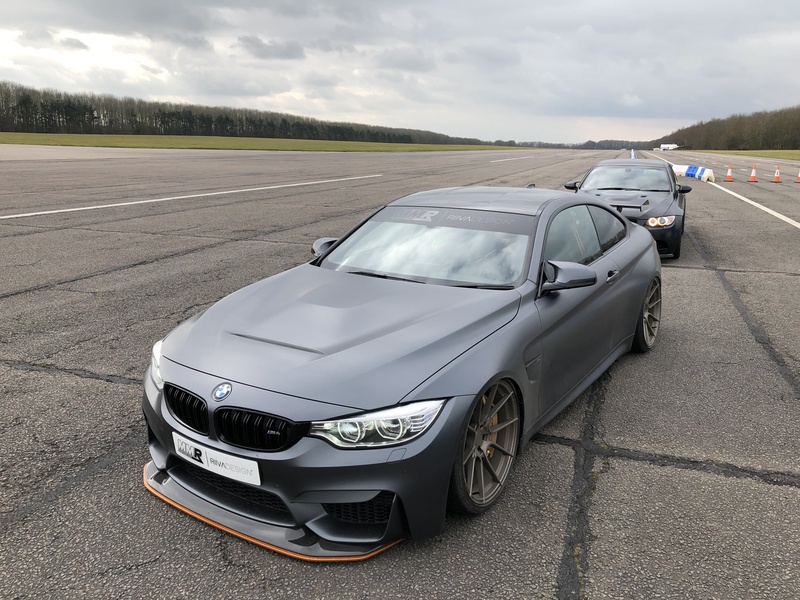 Lots of lightweight parts, plus water injection technology all in a raw and stripped-out 2-seater M4 chassis = 493 bhp, 0-60 mph in less than 3.8-seconds and a 190 mph top speed. But that’s not enough for Mad Max Marshall. “To me, the BMW 1M is the best thing in the world. The skunkworks project is a car that should never have been, so it feels very special. 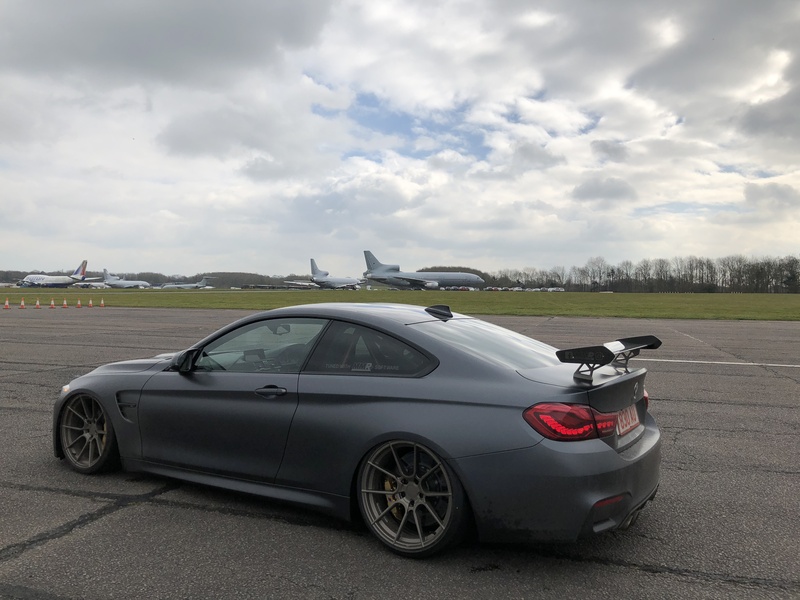 When BMW announced the M4 GTS, I didn’t really plan on owning one, but this came up at auction which meant I could buy it for slightly less than silly money”, explains Max. 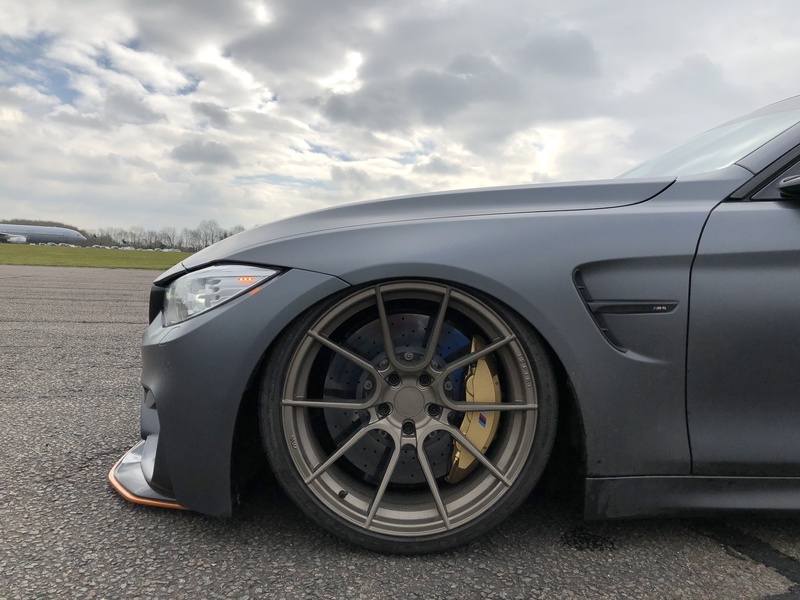 To some it might just be an M4 with wild styling and a rowdy power increase, but there’s a lot more to this rare special edition from BMW’s M Division. Why? 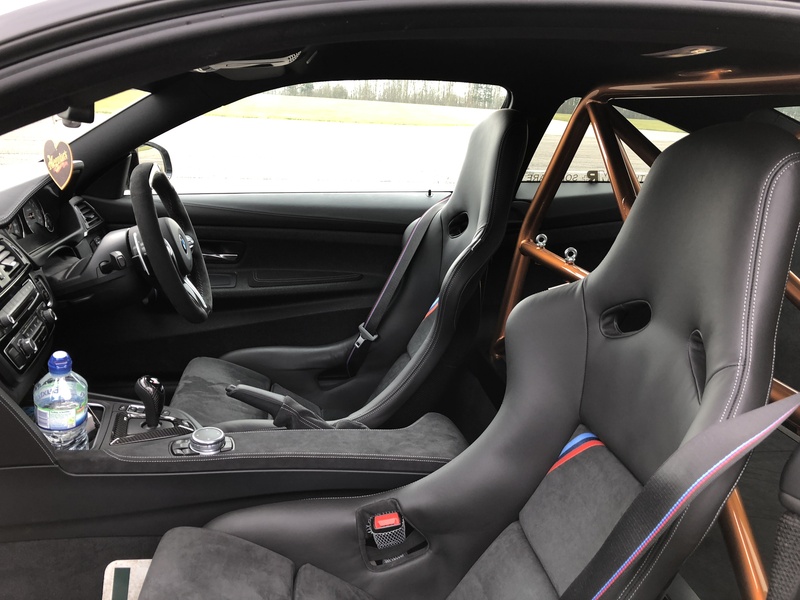 It’s the fastest BMW road car ever. And this particular GTS been made even faster with software tuning courtesy of MMR+ tuning system installed. Power now stands at 550 bhp and Max recons this will crack 200mph. So it’s a handful, then? Yes, it’s an absolute animal. We slid into the carbon bucket seat, which is 50% lighter than standard, and Max righteously launched us down the runway at Bruntingthorpe. First, second and third gears disappear in clouds of smoke. Traction is a thing that’s only mildly achieved when Max clicks the DCT into fourth gear. The M4 snakes its way past 120 mph and the Air Lift Performance F8x kit helps to keep the mania in check. It’s quite the experience.